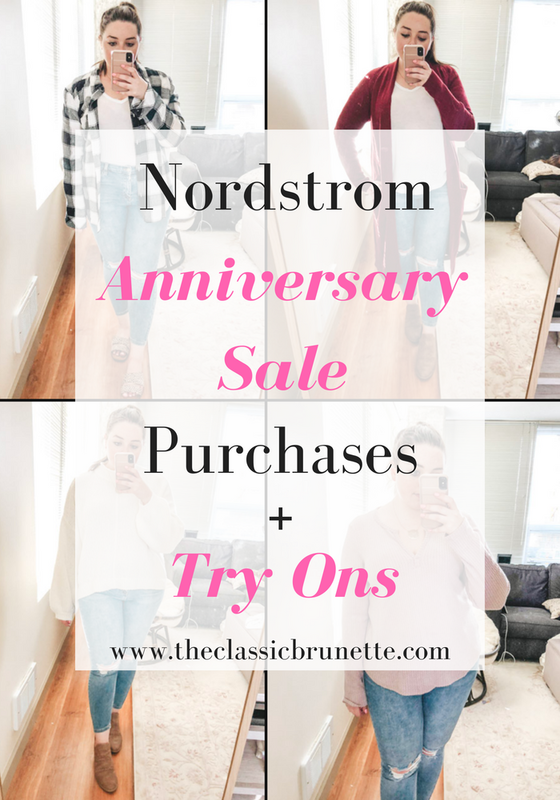 The Classic Brunette: Nordstrom Anniversary Sale Purchases And Try On Reviews! 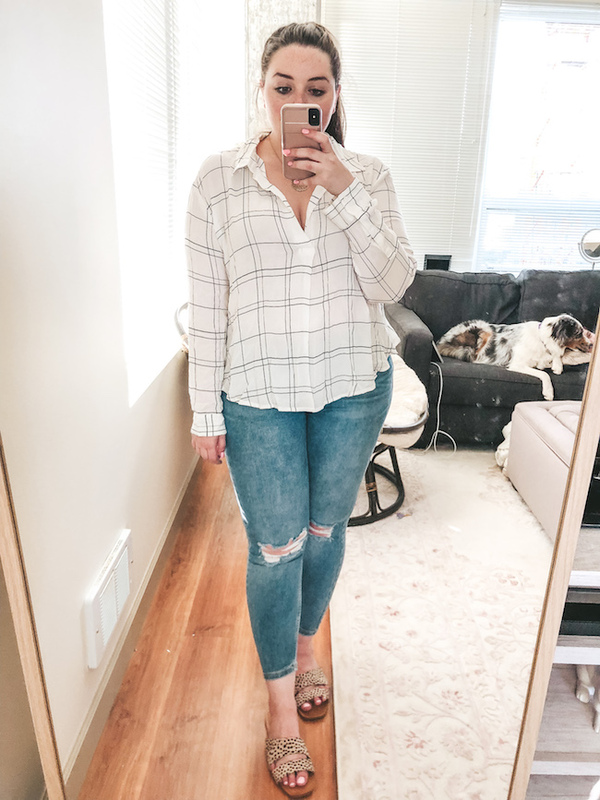 Nordstrom Anniversary Sale Purchases And Try On Reviews! 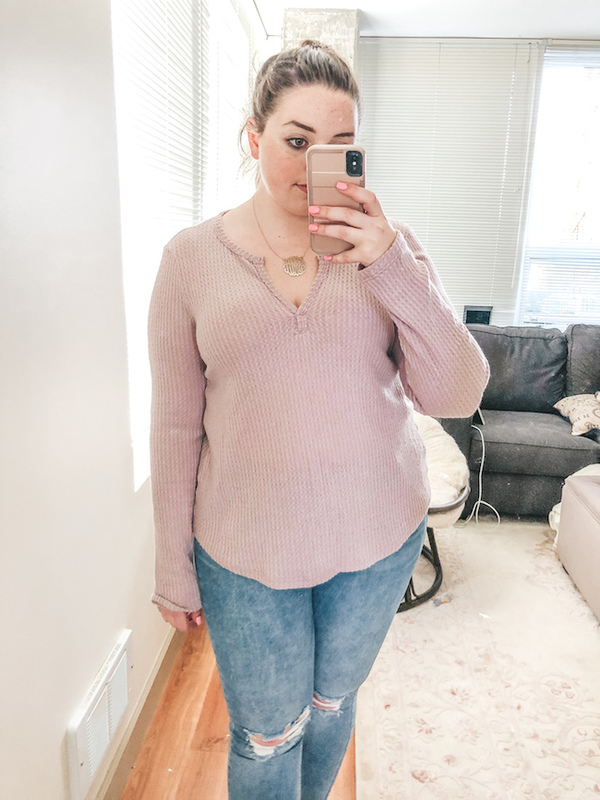 Just like me, I'm sure you're slightly sick of hearing about the NSale, but I promise this is my last blog post about it! I made my purchases the first day of the sale and wanted to share them, their fit, and a few ways to style some of the items together. Although I did buy a good amount of items, I made sure that most of them could be work together or with other things in my closet. There's nothing I hate more than buying something and only wearing it by itself or in one way. 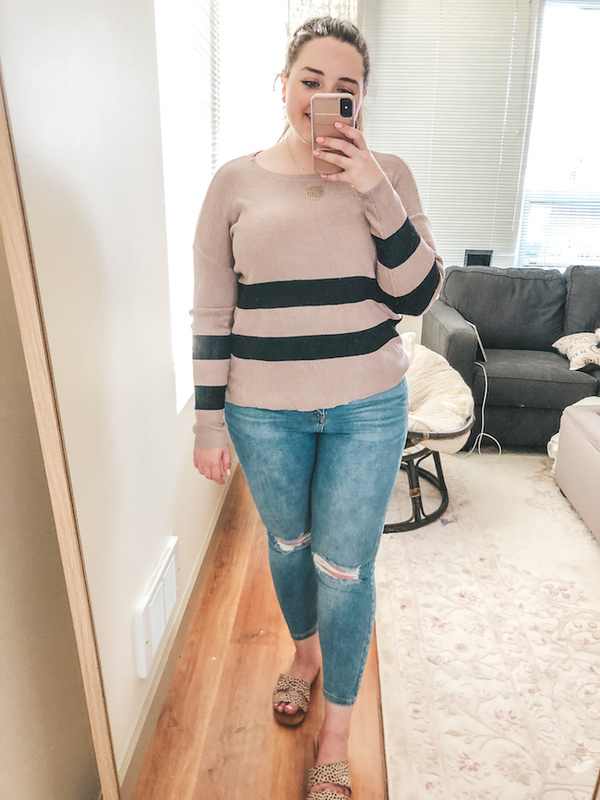 The Anniversary Sale is mostly fall items, and the majority of my purchases were sweaters! I had my eye on a few pairs of booties and pants, but the booties weren't what I was looking for and none of the pants I tried on "wowed" me. So, if you're looking to purchase some awesome sweaters for great deals, make sure to keep reading! The best part is that everything but one item was under $50! First up is a basic that everyone should have, a simple white v-neck. This one is only $11.90 and is such a steal. It comes in a bunch of different colors, so if white isn't your thing I bet there's a color or pattern that is! 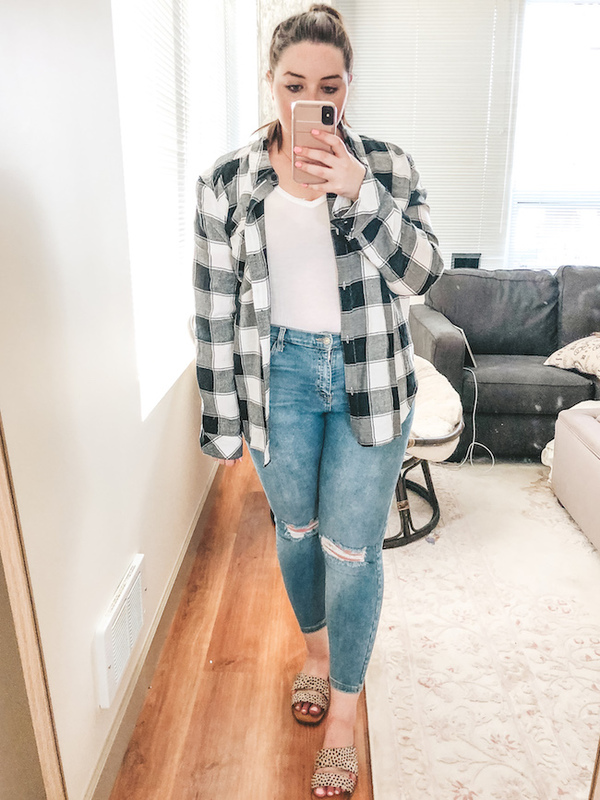 The fit is true to size, however if you want it to be a bit oversized I suggest going a size up! 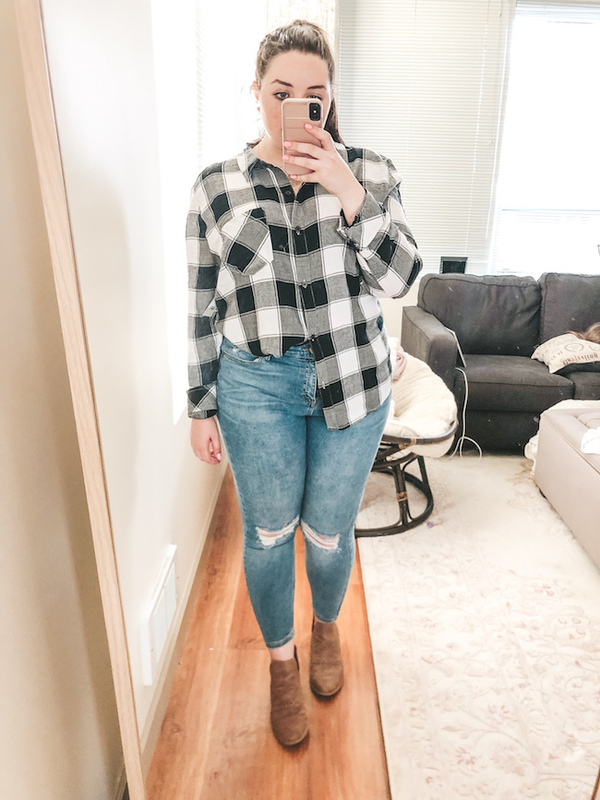 Anyone else love wearing plaid in the fall? Silly question because I know everyone does! 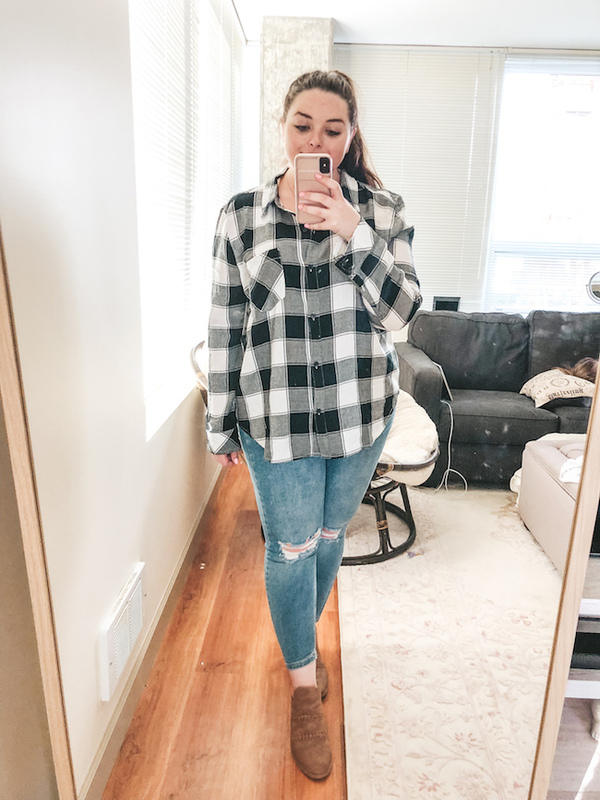 I love how soft this plaid is and it's so versatile! You can wear it a bunch of ways and pair it with numerous other pieces (see below!). It's under $35 and is going to be perfect for those cooler fall days! Okay I LOVE this cardigan. It's so comfortable, soft, and I can tell I'm going to be wearing it all the time when the weather turns cold. 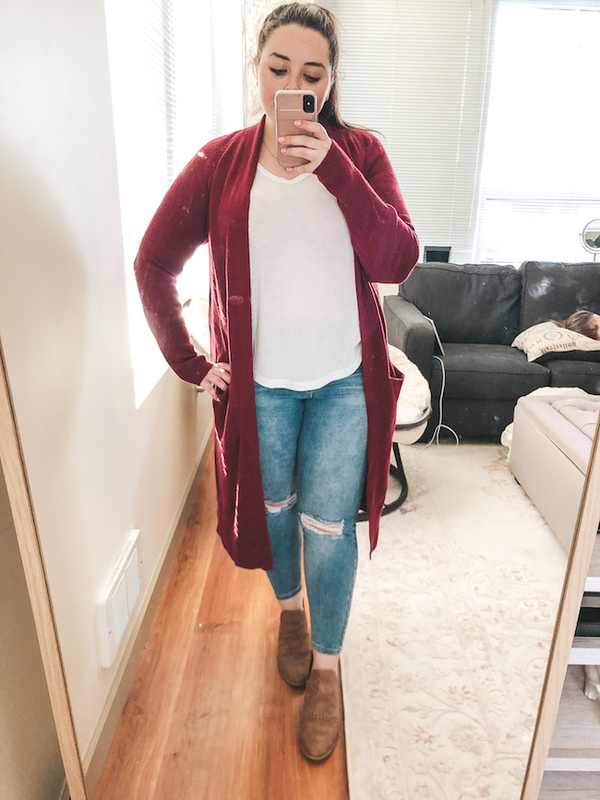 The big thing about this cardigan though is that it runs large! You might want to get it in a size down or two depending on the length! 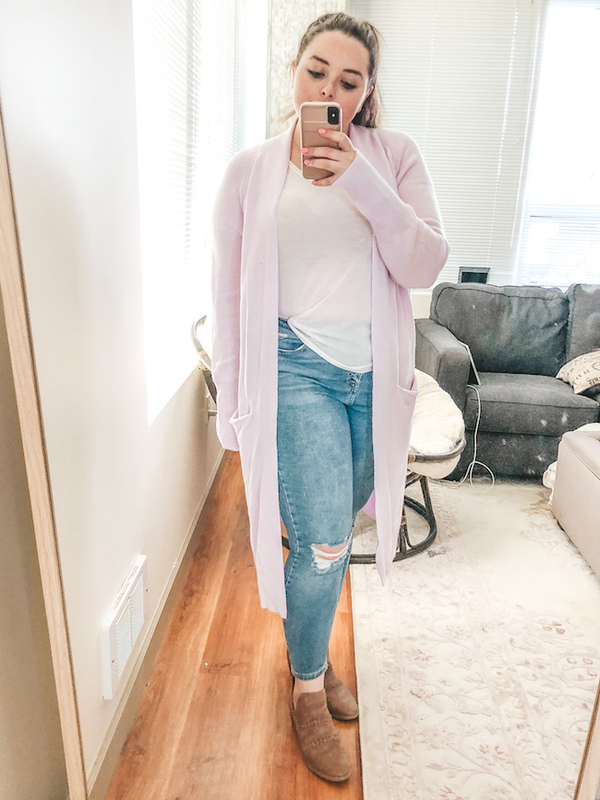 This is the same cardigan as above but in the lavender color! I loved it so much I got it in two colors! This is the one item on the list that is above $50, although it's only $9 above, so not too bad! 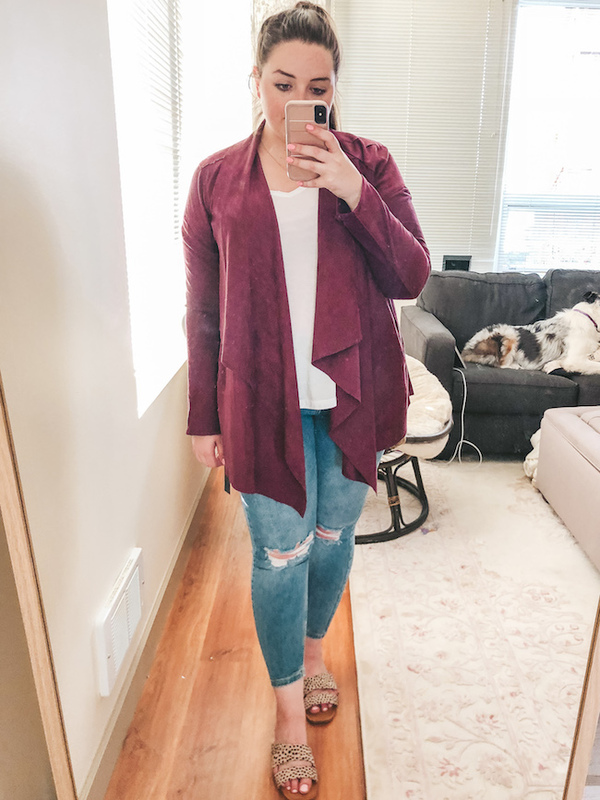 This is a great drape jacket, and it's incredibly soft! The material is suede-like and is going to be great for cooler weather. I would say this jacket runs a little smaller, so if you aren't sure order the next size up! I believe the ivory color is currently sold out online, however I was in store today and saw a few, so make sure to check in store! I am absolutely in love with this sweater. I think it's my favorite item I purchased! It runs true to size, has the perfect neckline, and is so dang comfortable! So this top is currently sold out, but I have a feeling that it will be restocked soon! I have a similar shirt from target, but got this one because the quality is 10x better! It's true to size and super soft! Plus doesn't it look great with the cardigan? Another unfortunately sold out item, but hoping it will be restocked soon! This top comes in a few colors and I know I keep saying this for everything (I swear it's true) but it's SO SOFT. Literally I'm not sure how Nordstrom makes things that are so soft! 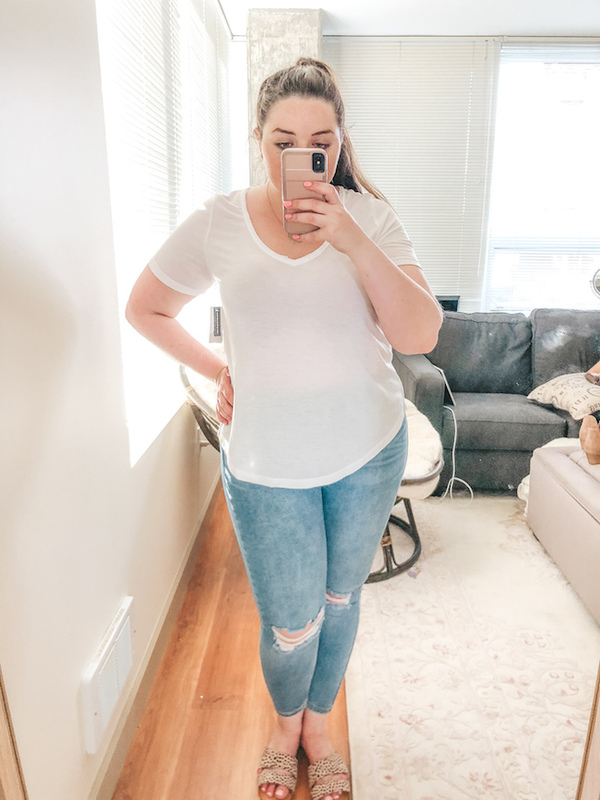 This top is true to size, but size up if you're looking for an oversized fit. Last but not least, this BP sweater! 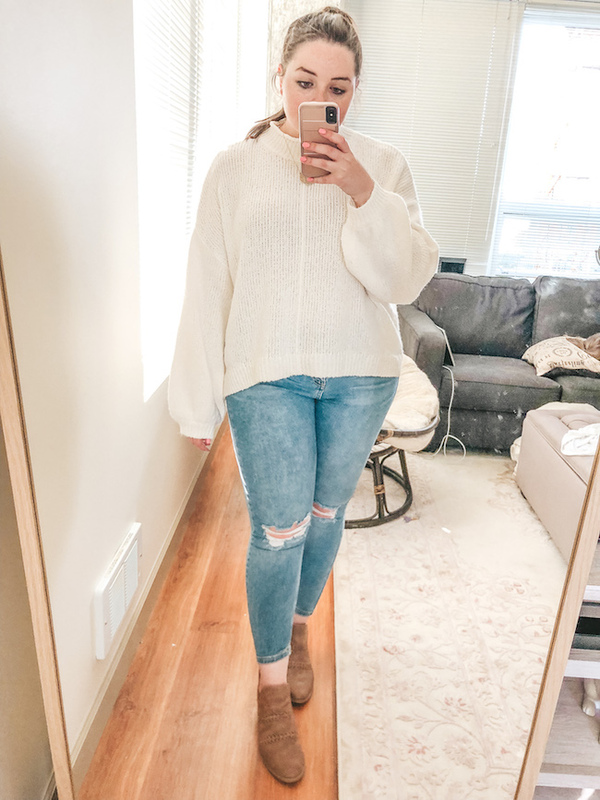 I love a good lightweight sweater, and this one is perfect! I love that it's pretty minimally designed, and can't wait to wear it in the fall! It runs true to size as well! Hope you all enjoyed my purchases! I would love to know what you bought from the Nordstrom sale! I love all your purchases! 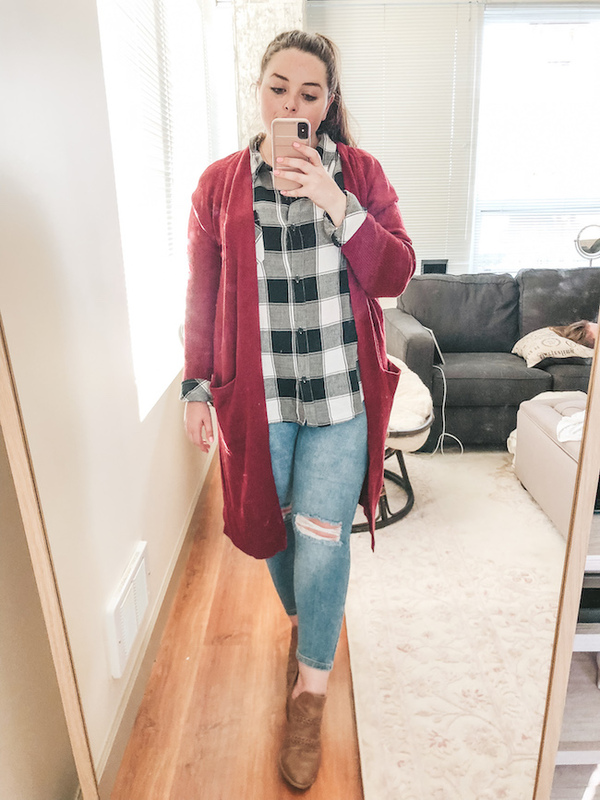 I am ready for fall clothing! In the winter I am so ready for shorts and tanks and once it gets too hot I am over it so now bring on the comfy sweaters and boots! Girlllll so many good finds! Love all of your cute NSale looks. My purchases just arrived and I'm so happy! You're all ready for Fall! The Anniversary Sale sounds awesome! Love your finds, and your puppy :) So cute!!! It's currently 100+ degrees F in Florida, so I have a hard time shopping for fall clothes during the summer months :) I bet I'll wish I had here in a few months though! These pieces all so cute on you, Sami! Love those cardigans! People have gone nuts over this sale, it's crazy! Love the red cardigan though. I don't buy many clothes but that's one item that's high on my want list! omg i want some new cardigans now, even though i have my fair share xD can't wait to shop the sale! Great picks! I love that soft pink cardigan you got! 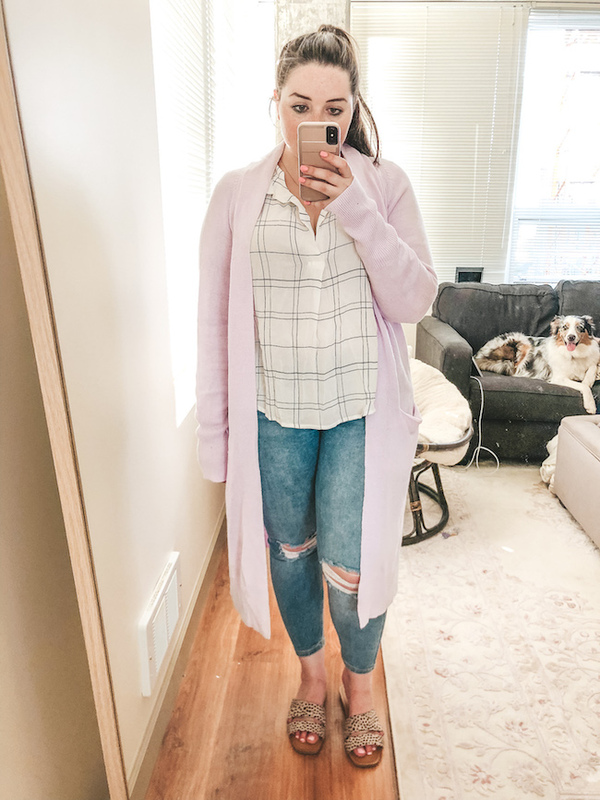 That lavender cardi is SO CUTE! Love these looks on you girl, sooo cute! I bought that henley in the same color & I can't believe how soft it is! My Picks for the #NSale By Category AND Budget!